Whether it's humans or animals, internal medicine is the practice of prevention, diagnosis, and treatment of diseases. At Dallas Highway Animal Hospital, we take great pride in administering each of these aspects, ensuring your pet lives a healthy and happy life. From cancer to kidney disease, there are many veterinary issues dealt with via internal medicine. The following are examples of three diseases with similar symptoms, but different causes. 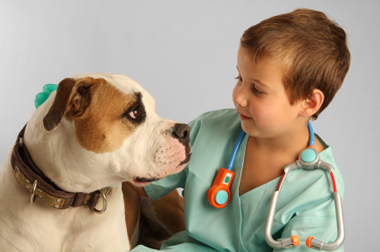 Our goal is to highlight the importance of having an animal hospital and veterinarian that can tell the difference. Most common in adult and senior pets, veterinary diabetes can be insidious and result in a shortened lifespan. It is characterized by increased glucose (sugar) levels in the blood, usually caused by an insufficient amount of insulin produced in the pancreas or an inability for the cells to use it efficiently. Symptoms include increased water consumption and urination, increased appetite, weight loss, and an inability for the body to heal itself. Advanced symptoms consist of fatigue, poor appetite, and vomiting. Official diagnosis for this disease requires a simple blood test and urinalysis. Once your dog or cat has been diagnosed as diabetic, his or her condition will be most likely managed with a combination of diet and lifestyle changes, as well as daily insulin injections. We are here to advise you on these changes and also show you how to monitor your pet's blood glucose levels and perform the necessary injections at home. Along with regular checkups, you can successfully manage your dog or cat's diabetes. Primarily found in middle-aged to older dogs, hypothyroidism is characterized as low production of the hormone-secreting thyroid gland. Symptoms include either dry and scaly skin or a greasy and thinning coat. Weight gain, lethargy, excessive shedding, and a susceptibility to infections can also occur. Blood samples and other diagnostic tests can evaluate the production of your dog's thyroid. Subsequent treatment usually consists of a daily oral medication. Hyperthyroidism is primarily found in cats and rarely detected in dogs. It is characterized by over-production of the thyroid, usually caused by a benign tumor in the gland itself or within the chest. Symptoms include weight loss, rapid heart rate, increased appetite and thirst, lethargy, depression, and vomiting. To correctly diagnose hyperthyroidism, a blood test is required. Treatment of hyperthyroidism usually consists of anti-thyroid medication. At times, the surgical removal of the tumor or an injection of radioactive medication and monitoring for several days afterwards may be an option. In the case of surgery and the radioactive injection, a referral is required. Occurring primarily in middle-aged and older dogs, Cushing's disease is caused by long-term exposure to high levels of glucocorticosteroids, either manufactured by the adrenal glands or contained within certain medications. Tumors of either the adrenal glands or the pituitary gland account for the majority of cases. Symmetric hair loss, a dry and dull coat, and lethargy are an example of Cushing's disease symptoms that mimic those associated with diabetes or hypothyroidism and hyperthyroidism. ACTH stim testing and ultrasound may be used in diagnosing Cushing's disease. Treatment consists of medication, closely managed by a veterinarian. For more information about these diseases, or to make an appointment for your pet, contact us today.